Candidates who belong to given seven districts of Kerala may register Online at Official website. 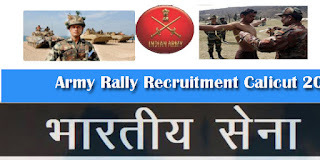 Rally Recruitment will be held on 10 TO 20 MAY 2018 VOCATIONAL HIGHER SECONDARY SCHOOL MANANTHAVADY, WAYANAD. Category to be covered under the Kalicut Recruitment. Clerk/Store Keeper Technical Soldier Tradesmen. The Online registration is start from 18 MAR TO 24 APR 2018. 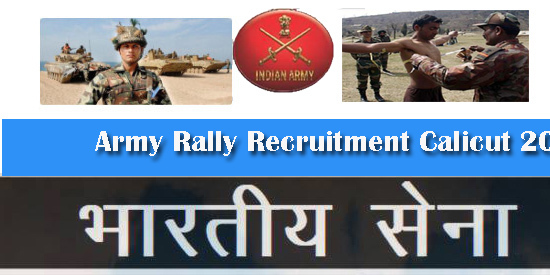 Candidates who successfully apply Online Registration for Rally Recruitment will be able to Download Their Admit Card after 14 October 2017. Soldier Clerk/ Soldier Store Keeper Technical 17 years 06 months to 23 years.